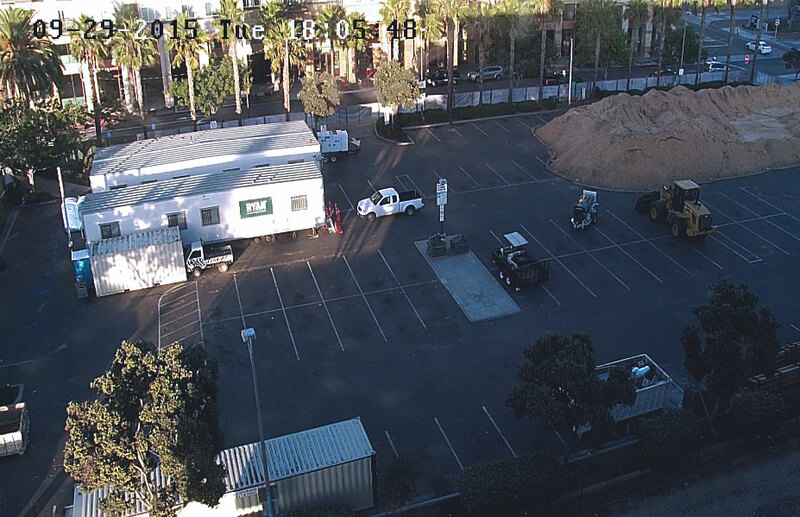 ECAMSECURE’s radar guided video surveillance offers 360° perimeter security; Our security radar detects motion up to 1600 feet away and features autonomous PTZ controlled cameras, meaning the entire security system is directed to focus on any intrusions automatically. By integrating radar with your security system you can reduce costs, increase safety and free up personnel for other tasks. Radar security technology ensures that only legitimate security breaches are given attention by the system, the radar is the most efficient way to monitor large areas and critical infrastructure. Of course, ECAMSECURE’s radar can be also be used in conjunction with any of our other products and services, making it a fully customizable and versatile security solution that can be tailor made to fit all of your surveillance and security needs. Our radar services are designed to detect intruders at ground level by bouncing radar signals off of all objects in a 1600 foot radius in rapid sequence. When a new object enters the area, the radar detects the change and wirelessly employs all available cameras to focus in the direction of the object. Radar offers you unique tools to manage the security of your property. For example, we offer a split bird’s eye and ground level view; an especially useful tool for clients with large properties. When viewing your site from the bird’s eye view live, full-site analytics are layered over the image so that you can pinpoint the exact spot a potential intruder is occupying. Live in a state with severe weather conditions? 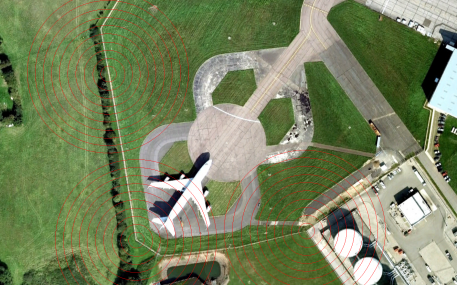 Our radar package uses X-Band radar technology which is designed to detect intrusions in all weather conditions. One of the biggest advantages of using our radar detection system is the money saved over other conventional CCTV systems; a radar detection system can cover your property in 360° and in most cases, one camera can cover your entire property. Other wide area solutions rely on CCTV for both detection and identification, with ECAMSECURE’s radar security system you can rest easy in the knowledge that any intruder will be detected long before any conventional system would have been able to. Giving you and your staff extra time to react to security breaches and ensure your property is protected and that the appropriate authorities have been called. Using traditional security methods, the covering of a large area or perimeter requires the use of multiple security cameras placed at all potential vulnerabilities — increasing your security cost dramatically. By using ECAMSECURE’s radar guided PTZ camera system you can significantly lower your security cost by using only a single camera to monitor your site. Our radar system will detect intruders and wirelessly order the camera to point at the point of intrusion. Importantly, the radar system is smart enough to recognize the difference between a tree moving in the wind and a person walking, reducing false alarms and wasted resources. Our radar security system records everything in high definition video and is designed for both night and day use. Radar security systems have a huge range of applications, in a wide variety of sectors. Although they are most appropriate for use in larger, rural areas where significant tracts of land require constant monitoring, their use is not limited to those conditions. Below is a list of other applications of this exciting technology.